Kosovo led the way on day one of the Antalya Grand Prix with a medal rush from their female judoka to top the medal podium. The European nation won two gold medals and one silver medal on the opening day as three of their four competitors on Friday ended up on the podium. Judo has been pivotal in the rapid ascension of Kosovo with national hero, Olympic champion and double world champion Majlinda Kelmendi being the most recognisable women in the country and leading her nation into a prosperous future. Kosovo is synonymous with judo and the country has become more and more visible around the world through the accomplishments of their renowned athletes. 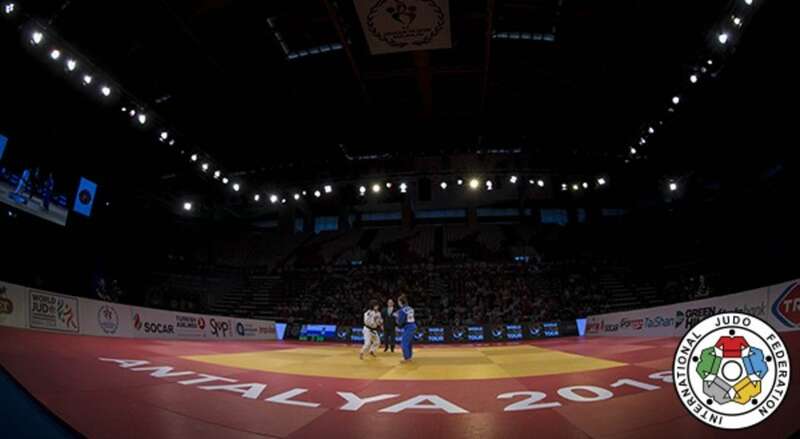 Kosovo became members of the IJF in 2012 as judo’s world governing body was one of the first International Federation’s to grant the country full membership. The accolades have accumulated on the tatami with Kelmendi being joined by a roll call of world-class judoka who have also become household names on the IJF World Judo Tour. Today, belonged to Paris Grand Slam bronze medallist Distria Krasniqi (KOS) who won -52kg gold and fellow top seed Nora Gjakova (above) who won her fourth -57kg Grand Prix gold medal in the space of 12 months. 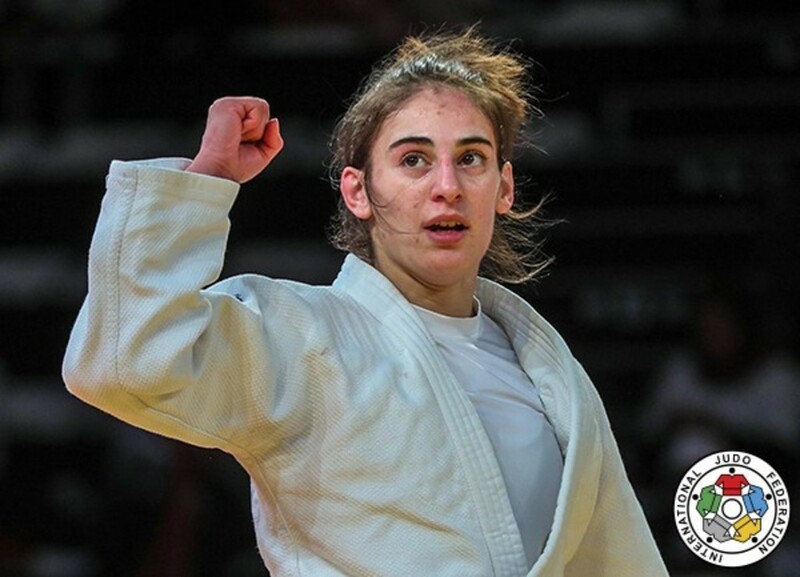 While Majlinda Kelmendi has been in Tata, Hungary, at a training camp with Kosovo coach, and the mastermind behind their unprecedented success, Driton Toni Kuka, there was still a Kelmendi hitting the headlines and winning silverware for Kosovo on the IJF stage. Fjolla Kelmendi (below - blue judogi), the cousin of Majlinda, took silver in the -48kg category in her first competition in 2018. Grand Prix debutant Leutrime Krasniqi (KOS) lost her opening contest but at 23 is only now making small steps onto the senior circuit. Kosovo will be represented by Akil Gjakova in the -73kg category on day two and by Loriana Kuka (KOS) in the -78kg category on day three. The International Judo Federation and judoka around the world joined together to mark IDSDP on Friday. IDSDP is an annual celebration of the power of sport to drive social change, community development and to foster peace and understanding. 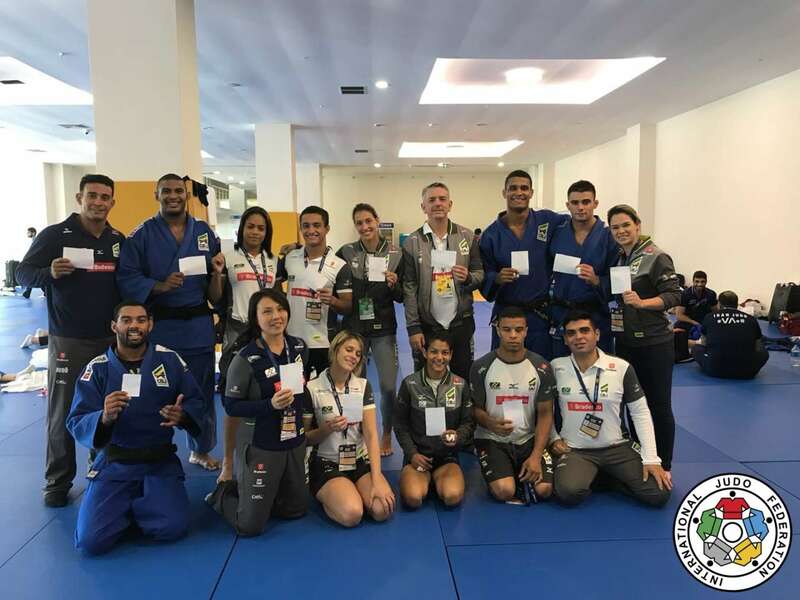 The IJF Judo for Peace Commission embraces the day every year having utilised judo to positively impact societies and to help to bring peace to different parts of the world. The IJF previously signed a Memorandum or Understanding with the United Nations Office on Sport for Development and Peace in order to exchange best practices in the field of promoting peace and therefore the sport and the International Federation is at the forefront of events such as IDSDP. On day one of the Antalya Grand Prix, members of the judo family united on the stage and held a #WhiteCard to promote a message of peace and to inspire judoka around the world. 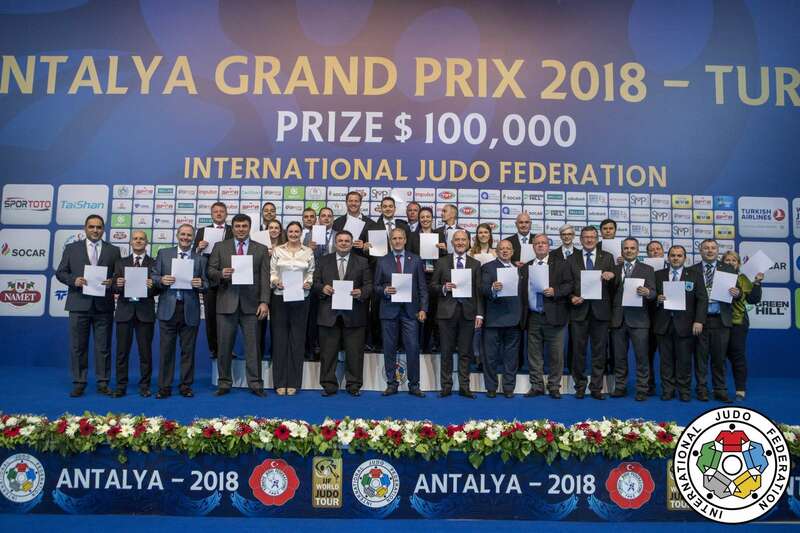 Turkey is an appropriate location for the IJF to be based on IDSDP as the Kilis region was the subject on an IJF Judo for Peace program for the last several years. Judo has helped young refugee children in the Kilis refugee camps in south Turkey to escape from the terror of the civil war in Syria and to rebuild a safer life. Running on a weekly basis, the programme has seen the IJF provide coaches and equipment to the camp, in which around 17,000 Syrians, of which 10,000 are aged under 15-years-old, are believed to live. Around 300 children have benefited from the programme, which has been run in partnership with the Turkish Judo Federation, Turkish authorities and the management of the refugee camp. In 2016 with this project, the IJF won an important prize (Mohammed Bin Rashid Al Maktoum Creative Sports Award) and already reinvested part of the prize in supporting the young refugees. IJF President Marius L. VIZER said: “Sport is education. The main mission of the sport is to build bridges between countries for friendship, peace and for a better world. Stay tuned to the IJF’s social media channels and IJF website for more information about the judo family’s IDSDP 2018 contribution.